Yeehaa!! 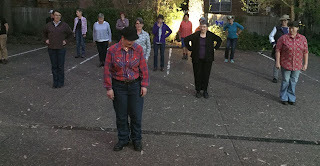 What a great turnout for beginners line dancing with our dynamic duo, Carol and Christine. 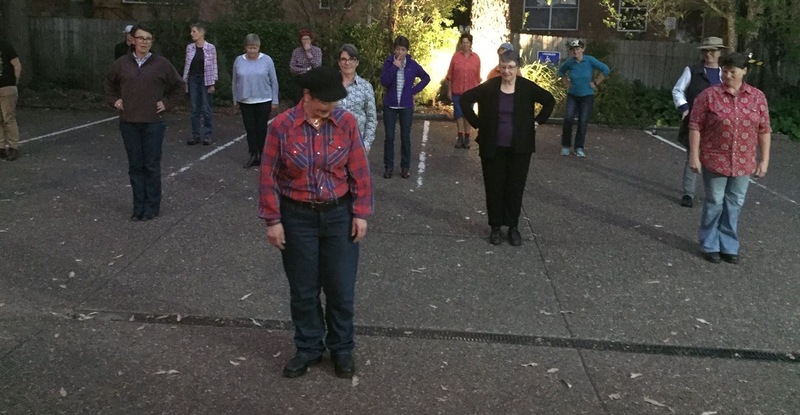 We took over the car park doing steps to the front and steps to the back, drunken sailor step (I think a drink is needed to perfect that step), pointing and pivoting, clapping (for those who could coordinate hands and feet at the same time), knocking knees and wiggling. It was a lot of fun and entertained the people in the flats behind the carpark with one shout of encouragement. For those of you who missed out, we may be able to get lovely talented lesbian couple to give us an encore performance at the Christmas party. 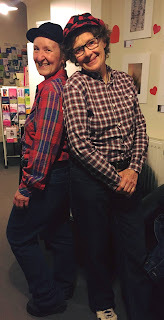 Thank you Christine and Carol for sharing one of your many talents with us and providing a lot of fun and laughter. We had another enjoyable and educational evening at LGT thanks to our wonderful Blue Mountains Women’s Health Centre Counsellor, Jenny Gill. 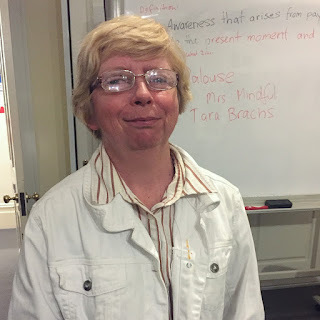 Jenny began by explaining some of the science and physiology of the brain in a way that made it easy to understand that how we think impacts the way we feel. We practised three types of mindfulness - two of them lead by Jenny in her quiet and peaceful voice and a third using an object from nature as our focus. All three methods demonstrated how easy it is practise mindfulness and the positive impact it has on how we feel in such a short time. 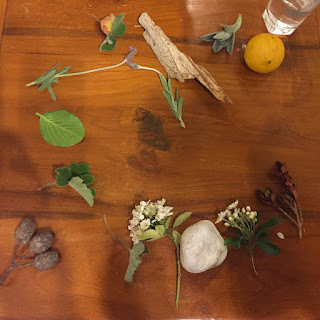 It was joyful to tap into our inner child and really see natural objects with the wonder that children have at seeing, listening, feeling and experiencing something for the first time. Jenny also gave us an art therapy exercise that really highlighted the positive impact mindfulness had on every one of us. Each woman in the room created a much more serene pictorial interpretation of how she felt at the end of the evening than the initial drawings. It really demonstrated, that although issues were still there, they no longer held the strong emotions and negative impact they had at the beginning of the evening. Some of us enjoy sharing the experience of mindfulness with others; some prefer solitude and nature to help them focus on the present moment. There is no right or wrong way to be mindful, but it was apparent that everyone could benefit from being mindful. 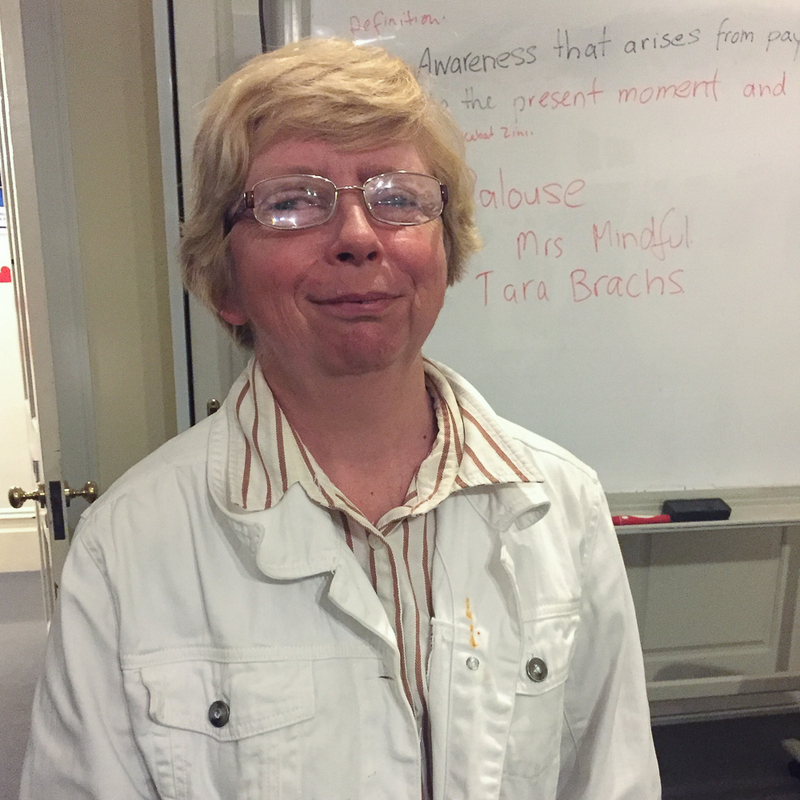 Thank you, Jenny Gill for showing us how easy it is to be mindful and the positive effect it has on our psyche.